The Triangle Region of North Carolina is one of the most popular locations in America. The job opportunities, the mild temperate climate, and the beautiful locale near both beaches and mountains create the perfect place for new residents. Since many newcomers are young professionals and Millennials, most are probably first-time home buyers and unfamiliar with much of the new home buying and selling process. 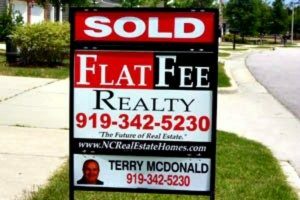 Fortunately, our Triangle-based professional team at Flat Fee Realty is prepared to offer expert advice on what is takes to look for, and compare homes in the Raleigh, Morrisville, Cary, and Apex areas. This process doesn’t have to be a confusing one, and knowing what to focus on while searching for that dream home will make everything easier to understand. 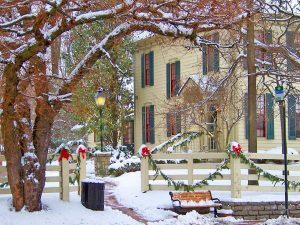 An abundance of clutter: If the holidays are a stressful time for home buyers, know it is as well for the home owners. Sometimes showings and walk-throughs will be announced with very little notice, and people may not have time to prepare everything for showing like they would want. As a buyer, simply take along some measuring tape to make sure furniture will fit, and try to ignore any clutter in closets, garages, and spare rooms. Older appliances and kitchens: Some homes may not have stainless-steel appliances, or have kitchens equipped with smart technology. Although these are nice amenities, don’t let them be deal breakers. Consider designating some of the home purchase budget for appliance upgrades. Good homes can always improve with the needed amenities. Outside opinions. There will be plenty of opinions given from neighbors, friends, and family members. They might not like certain aspects of the new home choice. There are only two important decision makers in the home buying process; the purchaser and Flat Fee Realty. Everything will and always has fallen into place. Viewing homes is the most enjoyable part of the buying process. Remember to be firm with needs and wants and keep an open mind during the process. One thing is for certain. We can find the home of your dreams. Contact us at Flat Fee Realty and get connected with one of our professional real estate experts! This entry was posted in Selling and buying homes in the Triangle and tagged Apex, Buyers, Cary, Durham, Flat Fee, Flat Fee Realty, Fuquay-Varina, Holly Springs, Home buying, Home selling, Houses for sale in the Triangle, Morrisville, Multiple listing service, Posted in Selling and buying homes in the Triangle | Tagged Apex home sales, Raleigh, Raleigh Home Market, Realty, The Future of Real Estate!, Three Reasons Why Fall and Winter are Great for Selling Triangle Homes, Triangle Home Market, Triangle home sales, Triangle real estate, Triangle schools.